Reading Latina Legacies (2005), in conjunction with Vicki L. Ruiz’s article, “Nuestra America: Latino History as United States History” (2006) was like a second chance at the course that I feel my classmates and I were robbed of. For me, feeling like a part of history gives more weight to my feeling like a legitimate part of the present, and my potential to influence the future. Reading Latina Legacies and Ruiz’s article not only provided me with much craved American history from a Latino/a point of view, but an opportunity to almost see a history being built from the ground up. 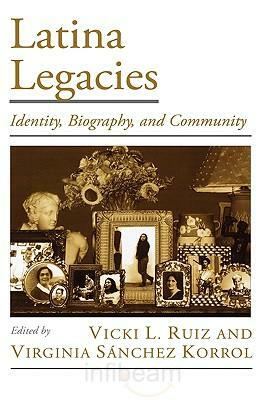 The authors, Vicki Ruiz and Virginia Sanchez Karrol state that it is their intention to “represent a re-envisioning of Latina history, one that takes into account gendered genealogies of power as mapped through grassroots activism, literature, education, and entrepreneurship” (p.4) and do so by showing how fifteen influential Latina historical players were not only present during pivotal historical moments in the United States, but they were also critical historical players at that time. Ruiz and Karrol acknowledge that they are embarking on a rarely traveled path, and they know that there is still much work to be contributed to evolving Latino/a history in the United States, but their contribution to the fledging subfield is useful, as it helps one understand how history has been—and is— presently written. The fifteen Latinas’ legacies are ordered chronologically, and one can tell the evolution of historical agency as the years pass. For instance when we go from Victoria Reid, a Mexican-Indian woman married to a Scotsman in California 1800s, to Loreta Janeta Velazquez, a Cuban-Spanish woman who claimed to have dressed as a man to serve in the American Civil War and acted as a spy for the Confederacy by the end of the 1800s, we see how one’s ability to tell history has evolved. Reid’s story is told from stories piecemealed from white men’s journals, mentioning her, more often than not, as the wife and extension of her white husband but not as a person and major political or historical player by herself. The few stories mentioning Reid were never questioned. However, Velazquez wrote a memoir detailing her travels and adventures as a cross-dressing woman in the military and as a spy, who had many pseudonyms and led a very adventurous life. However, the accuracy of Velazquez’s stories are often questioned as she had admitted that much of the stories had been written in diaries that she lost, and so they were recreated from memory. The legitimacy of a Latina’s memory was pitted against the point of view a white explorer or historian, or man in general, of the same situation. Tensions over historical agency even existed in the telling of Gertrudis’ Barcelo’s story. Whereas white settlers found the extraordinarily successful and wealthy Mexican Barcelo to be the result of a loose and immoral woman’s trickery, and perhaps, prostitution, many of Barcelo’s community thought her to be a wise and resourceful woman (besides some of the women in the community who often accused her of the same crimes against morality as the European men had done). When we move on to Lola Rodriguez de Tio we see that her own writings give historians a more accurate insight to her life and political outlooks and participation. Rodriguez de Tio was able to contribute to her own history by leaving written artifacts for current historians to collect, and less weight would be placed unto her contemporaries’ impressions of her. Rodriguez de Tio has more agency in her own history. However, the more contemporary the Latinas featured in the book become, the less information is given about the historians’ or autobiographers’ resources. It becomes less clear about whether the material gathered about these mini-biographies are based on memoir, personal or creative writings, others’ accounts of their encounters with the featured woman. It is almost as if the process for gathering history is taken for granted. I would say that Pura Belpre’s history is the last one in the book written by gathering Belpre’s own written work about herself, or creative work, in addition to her contemporaries’ impression of her. Having read Belpre’s biographer’s, Lisa Sanchez Gonzalez, work about Belpre before, I know that she stumbled upon Belpre’s work in the Schomburg and Hunter College’s Library for Puerto Rican Studies like a gardener happening upon striking oil. Sanchez spent a lot of time in Belpre’s personal archives. I guess it says a lot that there is even an archive wholly dedicated to Belpre to begin with, and the potential that gives a history written about her. This entry was posted in Features and tagged latina history, latina legacies, u.s. history by revisionistslc. Bookmark the permalink.